Drivers are being urged not to touch drink or drugs before getting behind the wheel as new research finds a worrying number of people think drink or drug driving are acceptable. The warning comes from road safety charity IAM RoadSmart as its president, former Formula 1 World Champion Nigel Mansell CBE, says drink and drug driving is “for losers”. Research carried out for IAM RoadSmart’s 2018 Safety Culture Survey show there is still some shocking thinking about getting behind the wheel after drinking or taking drugs among UK motorists. 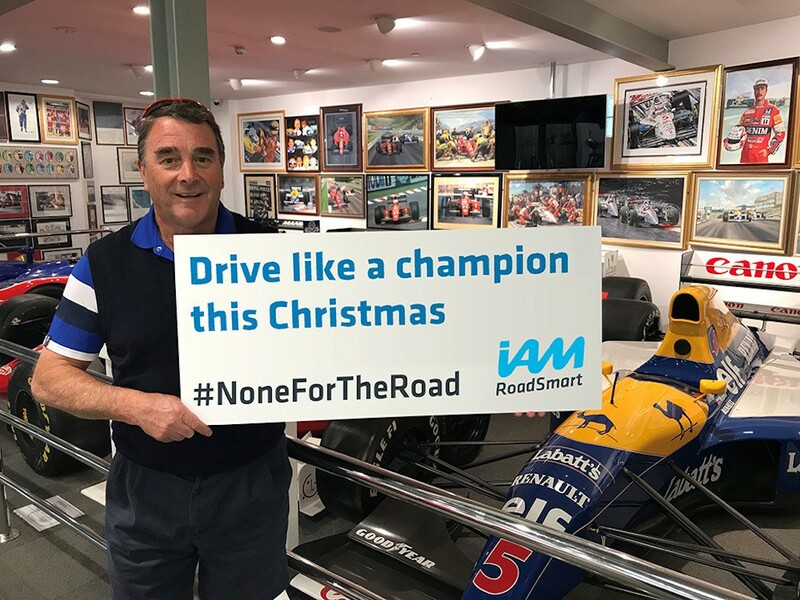 In response, Nigel Mansell, who is backing the IAM RoadSmart ‘Drive Like a Champion’ anti drink-drive campaign this month, is calling on all drivers to not touch a drop of alcohol when getting behind the wheel. He said: “Quite simply drink and drug driving is for losers. On the track you need to be in the best possible form at all times. This equally applies to anyone driving on the road. You have your own life, those of your passengers and everyone around you in the palm of your hands.